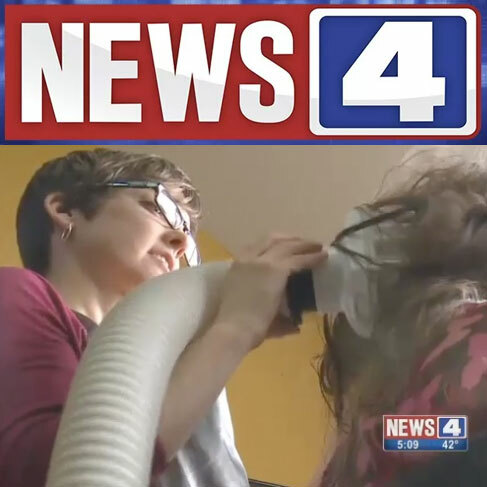 In this February 2016 report, NEWS4 (KMOV) in St. Louis describers how a new strain of lice cannot be eliminated with over-the-counter treatments only. That's where Lice Busters comes in. As Lice Busters' Libby Lutz explains, "We use a heated air machine. It's a medical device. It's from Loreda Sciences. And what it does is dehydrates the bugs and the eggs. So, it's the one thing out there that's super effective at killing the eggs. It's 99.2% effective in clinical trials."